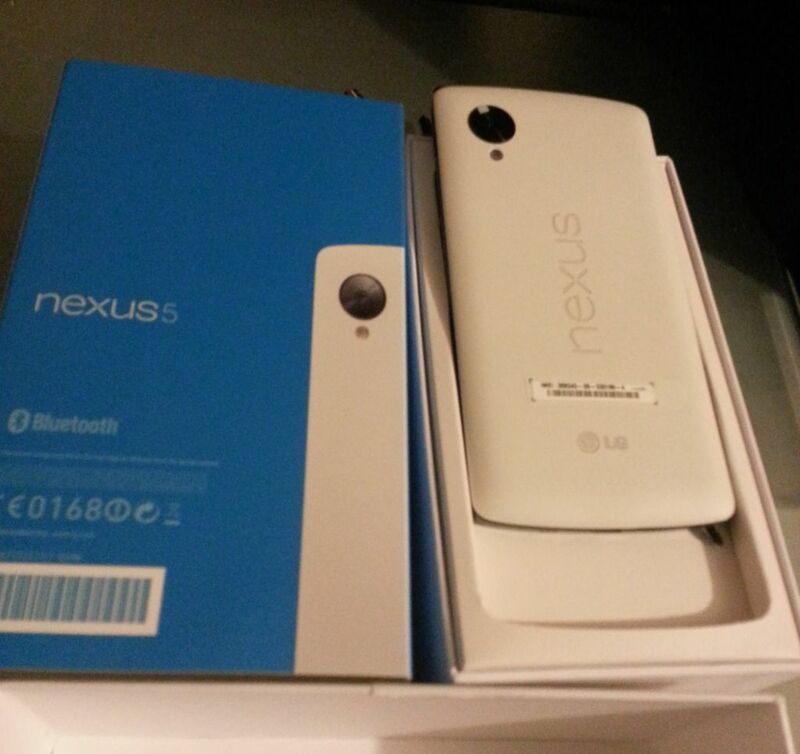 Google has unveiled the Nexus 5 along with new Android 4.4 KitKat. 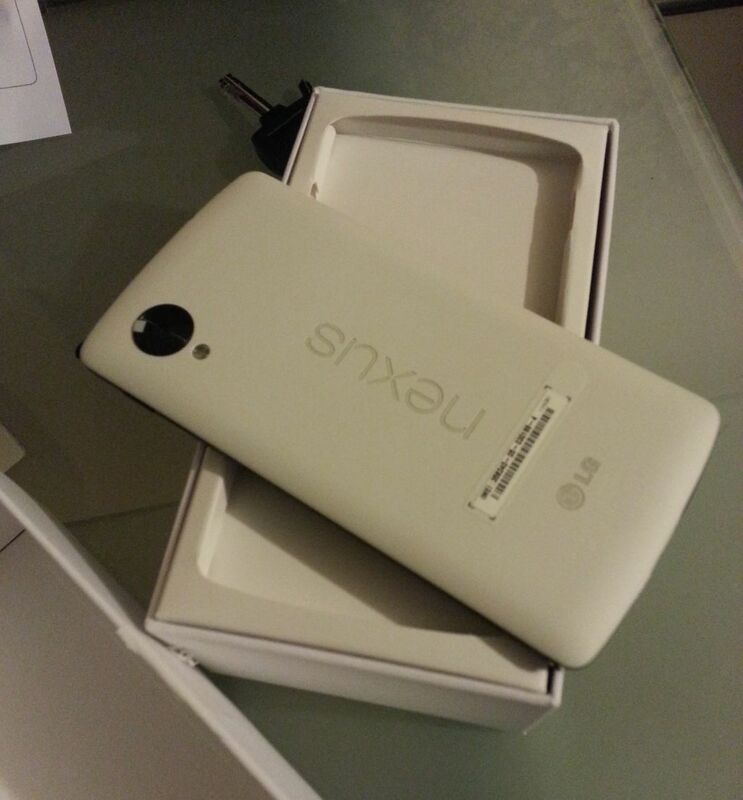 The Nexus 5 has 4.95-inch Full HD IPS display with Corning Gorilla Glass 3 and 1920 x 1080 display, 2.3 GHz Qualcomm Snapdragon 800 CPU, 2 GB of RAM, 2300 mAh battery, 8 MP rear camera with OIS and 1.3 MP front facing camera. 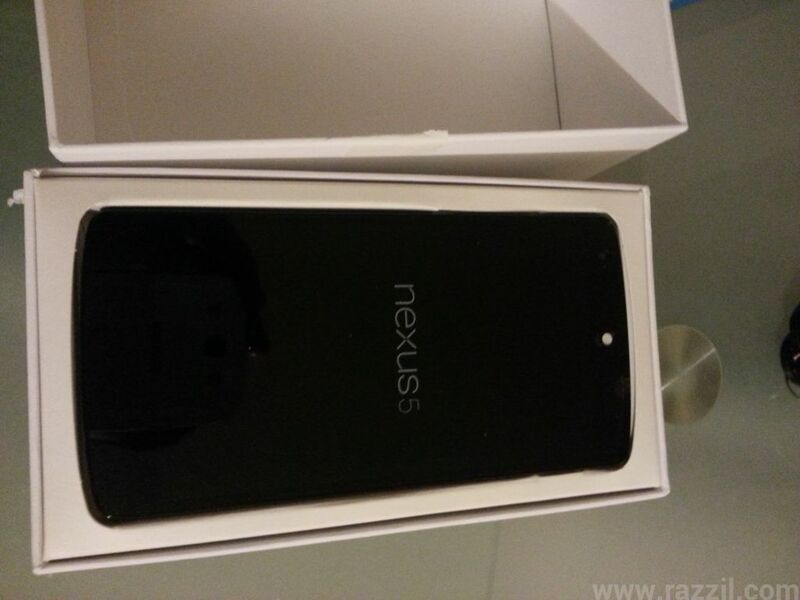 The Nexus 5 is available in Black and White colors and comes with 16/32 GB Internal Storage. 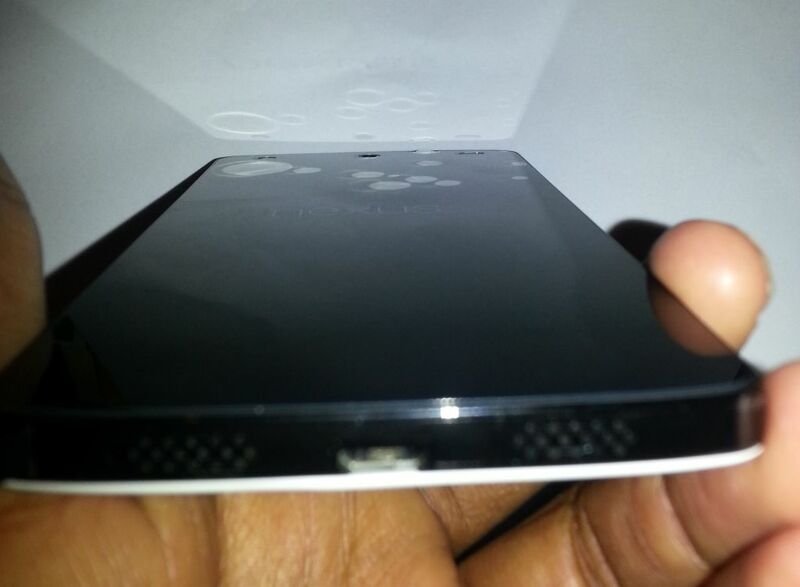 There is no MicroSD card slot. 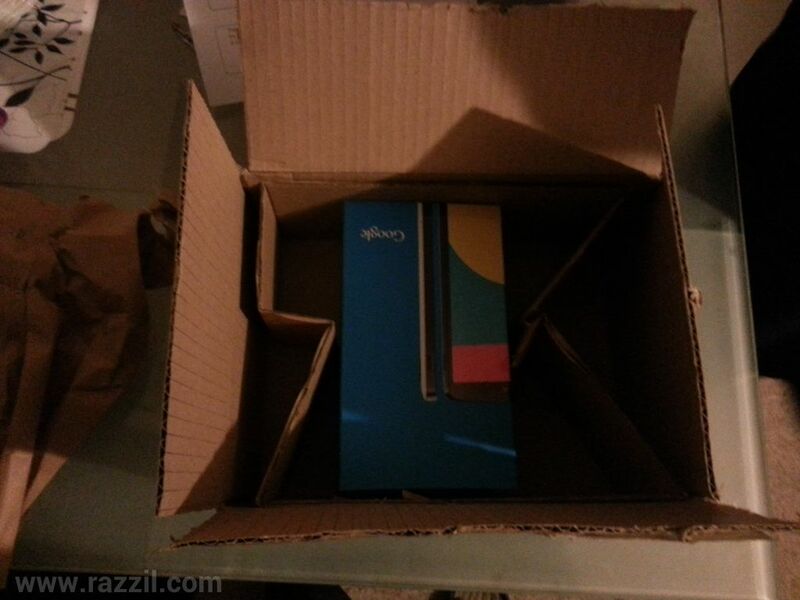 Here is the unboxing pictures of Nexus 5 sent by my friend Anoop from UK. 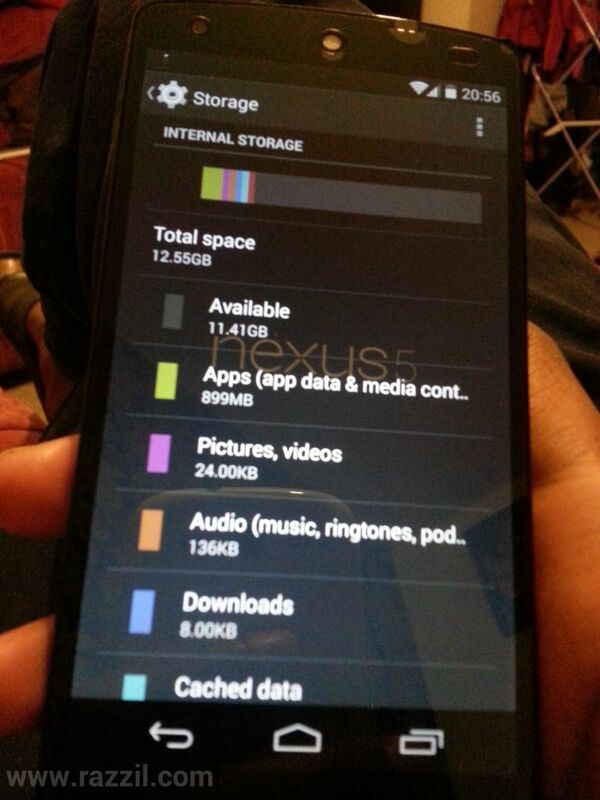 In 16 GB Nexus 5, only 12.55 GB is available for users. 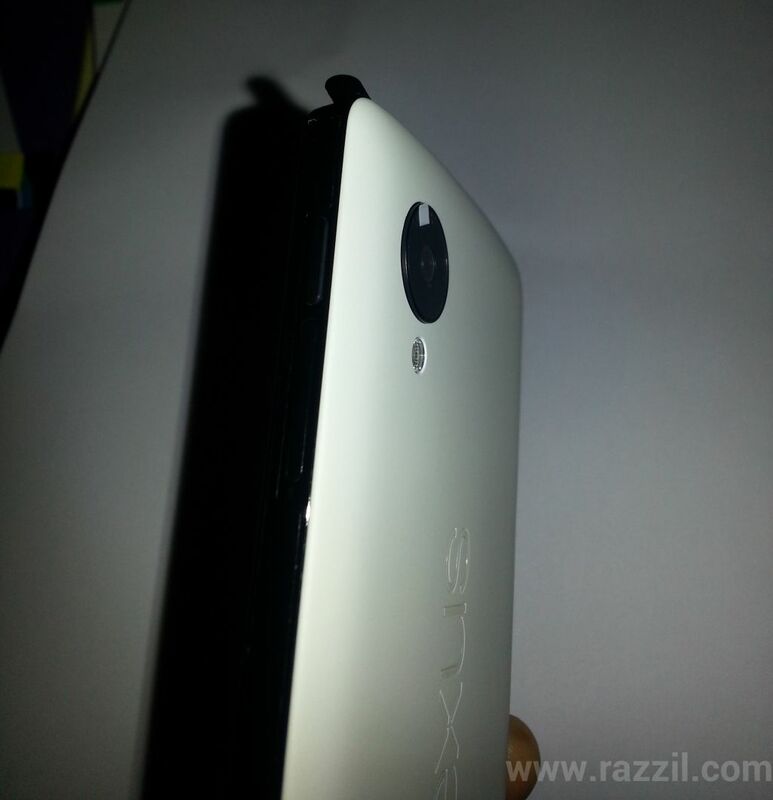 And the Nexus 5 has no MicroSD card slots so you should think twice whether the 16 GB Nexus 5 is enough for you. 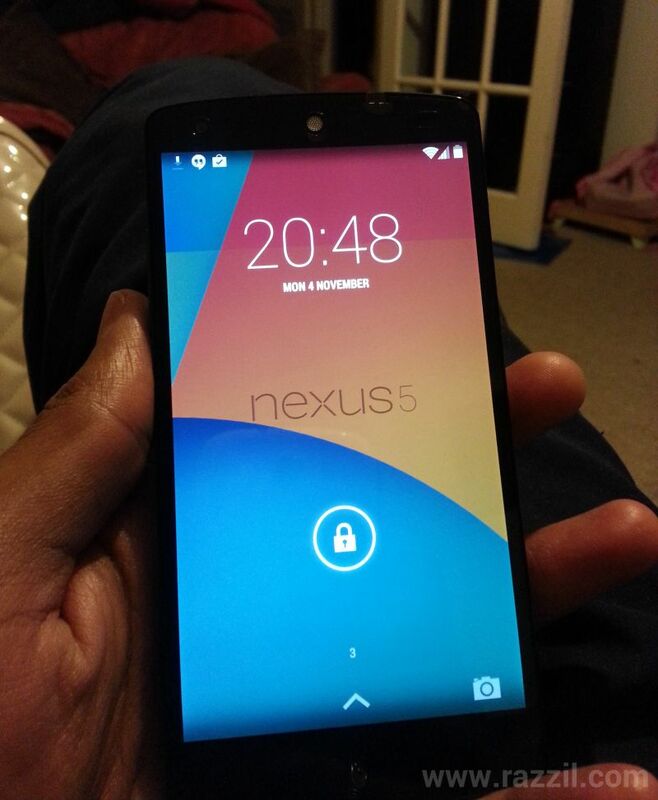 If you love to play games, watching movies on your phone then you should consider 32 GB Nexus 5 instead of 16 GB. Cloud Storage is the solution but not everyone has a good Internet connection. 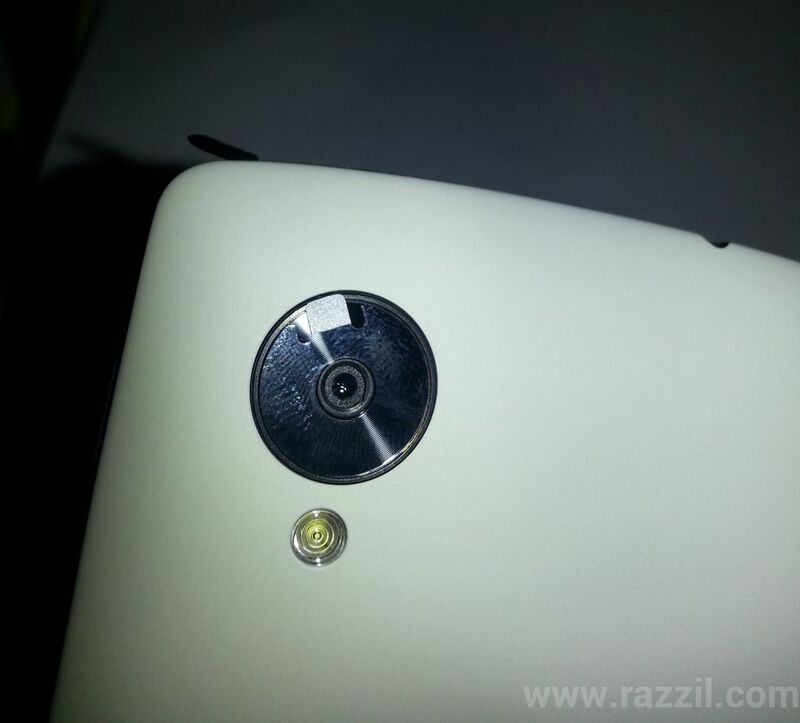 We’ll soon add more pics and camera samples.